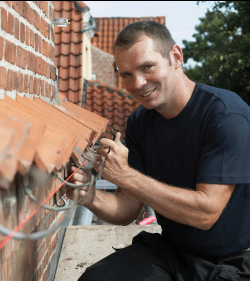 Roof gutters should be built or fixed properly by trained rain gutter installation technicians. Gutters that do not grade the appropriate direction, they’re not in the right location to capture rain, or have failing or rusted spots on them sooner or later cause damage to the roofing materials, the building itself, or even the foundation. Roof gutters are a vital and indispensable item for preserving your property. During outbursts or normal rain, roof gutters work to move the water away from your house and help you prevent expensive water damage. A suitably connected and maintained rain gutter system can save hundreds of dollars in foundation, siding, fascia and roofing patching over the life span of your gutters. Even though you probably don't dwell on it very often, there is a large assortment of both rain gutter varieties and materials available when it comes to picking what’s best for your property. Aluminium, steel, copper, bonderized, seamless...these are merely a few of the many selections available. When you're thinking about which gutters to put up, keep maintenance, type and materials in mind. You'll want a style and color that best harmonizes with the décor of your residence, but also contemplate necessary maintenance and the optimum materials for the job. Vinyl gutters are cheaper to begin with, but they twist, lose color and, for the most part, don't hold up to weather as well as copper, aluminium or steel. Seamless copper and aluminium gutters have less leakage, warping and a greater volume for water removal. Bonderized steel, though firmer and survives ladders and other equipment better than some other gutter materials, doesn’t come in a seamless model and is still vulnerable to rust. Because of years of experience, Edgewater Rain Gutter can help you to choose which style, color and variety of gutters will not only increase the splendor of your house, but shield it for the long term as well. 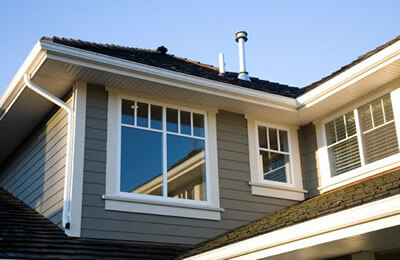 Contact Edgewater Rain Gutter before its too late and let us help you select the roof gutter system that best for you.